I used to wear a veston designed and configured exactly like a fleece veston from any outdoor retailer but in a kind of silver lamé that blackened with every wrinkle. I still have it. A very different æsthetic from what I now wear. But it seemed technologically futuristic in an obvious way – crinkly metallic material. There was a time when I would scour the so-called design press for new materials newly combined. I don’t have a picture or a reference for what I also don’t have – an amazing German hooded bomber jacket made of two kinds of novel materials fused together. This whole métier of combining mildly unusual materials is the value proposition of Outlier (“.NYC”), the New York retailer that is easier to like in theory. Outlier clothing sorely lacks colour and tailoring. “Futuristic” clothing, like heroin, is so passé. The real future clothing is antitechnological and tactile. We’ve been through this already. Still, I have seen two “youth styles” that seem intrinsically futuristic. So-called “kinesiology tape” worn by an Asiatic from an off-brand Oriental country. But he was in a sleeveless “technical” tank top manqué (obviously chosen with care) and the kinesiology tape on his arms was symmetrical and did not trace any actual muscle outline. It was just for show. This one was also a sticker, but it had the pattern of a skull’s teeth but went around the lips and seemed to be anatomically correct for just the region it was covering. If I could find a picture I’d show you one. The fact that I can’t find a picture is proof this guy was functioning well more than 15 minutes into the future. 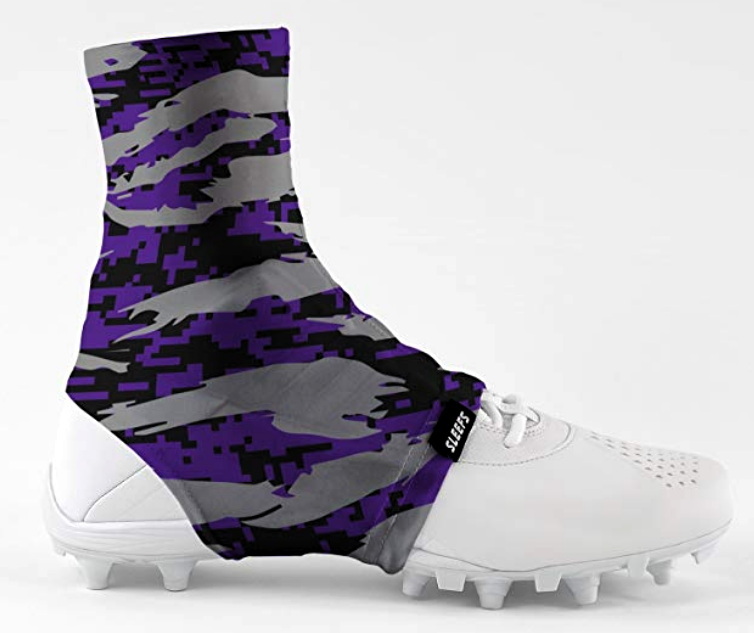 This one I haven’t seen in person: Purple camo spats. Camo, like Doc Martens, has been de-recontextualized and is now just a pattern. Ax me how many items of camo I now have.